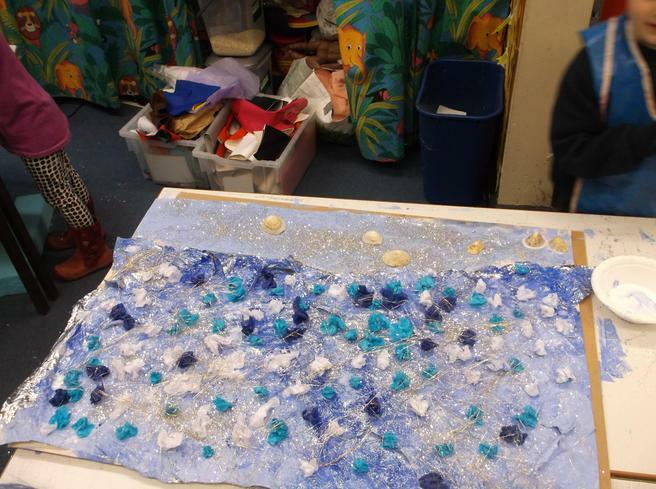 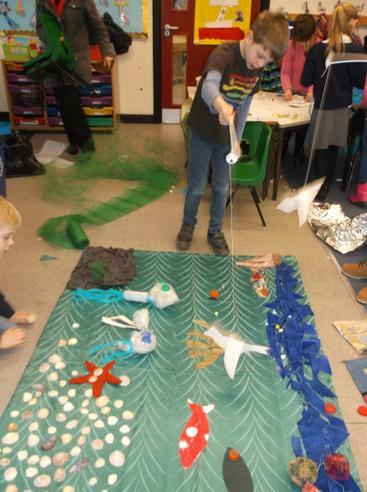 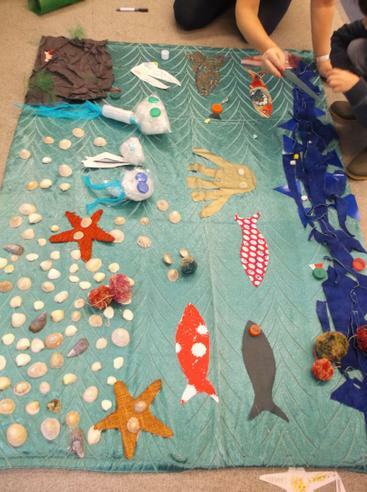 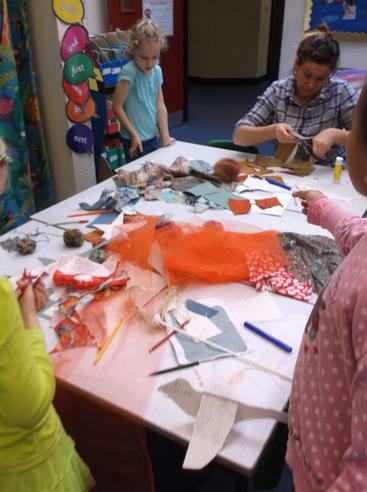 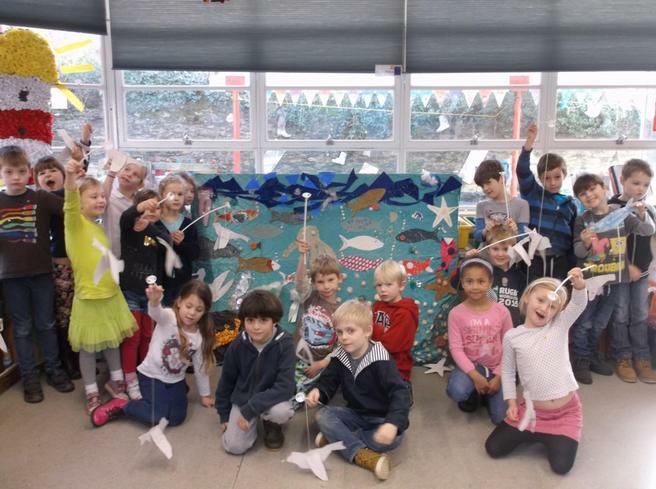 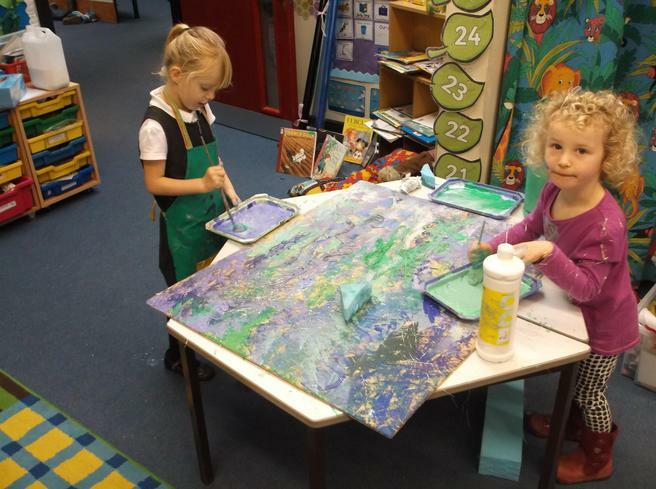 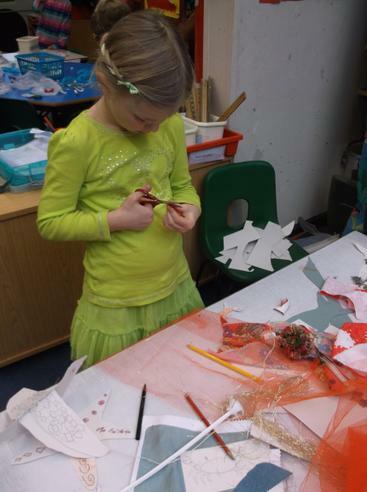 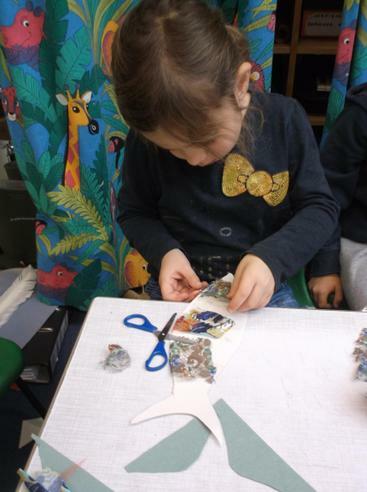 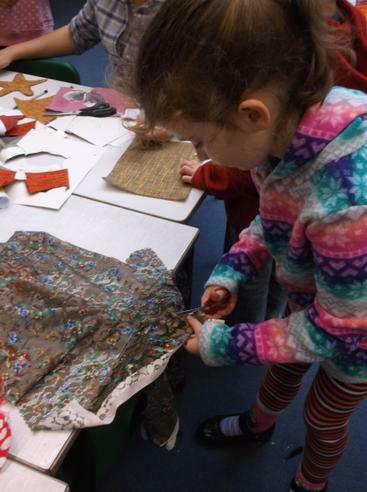 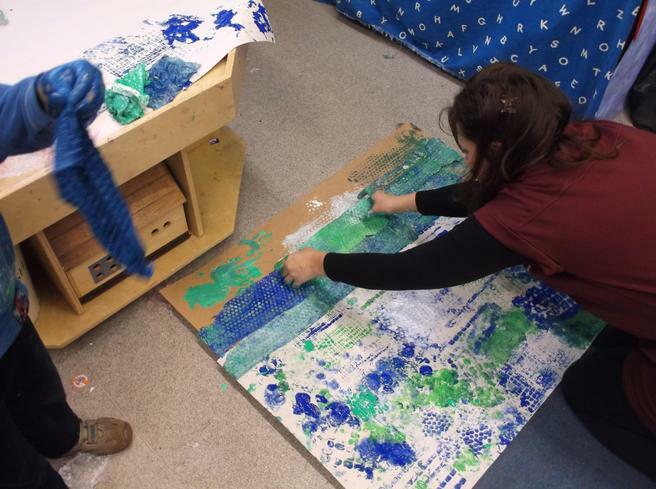 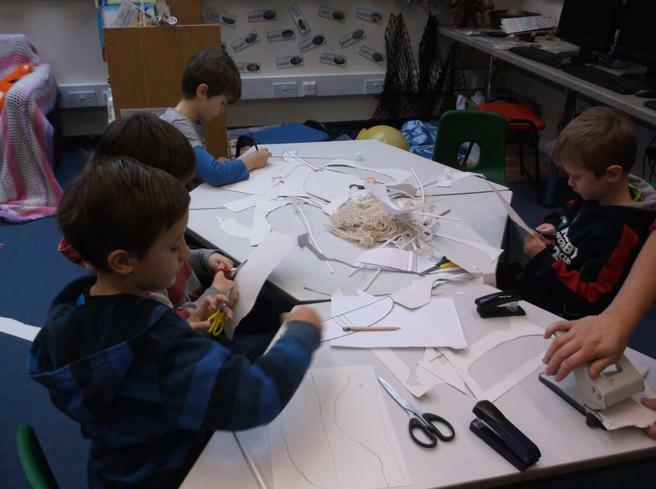 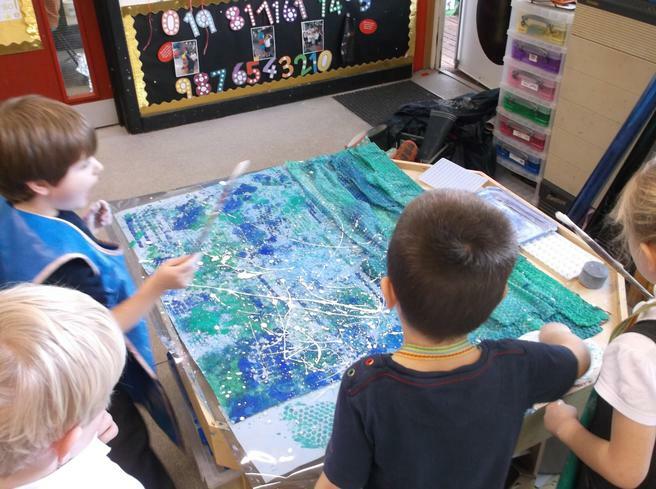 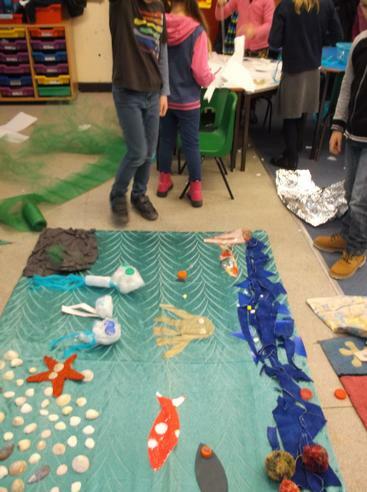 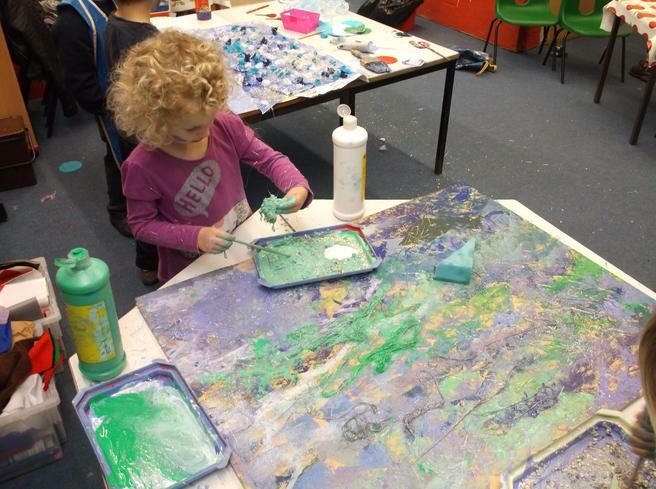 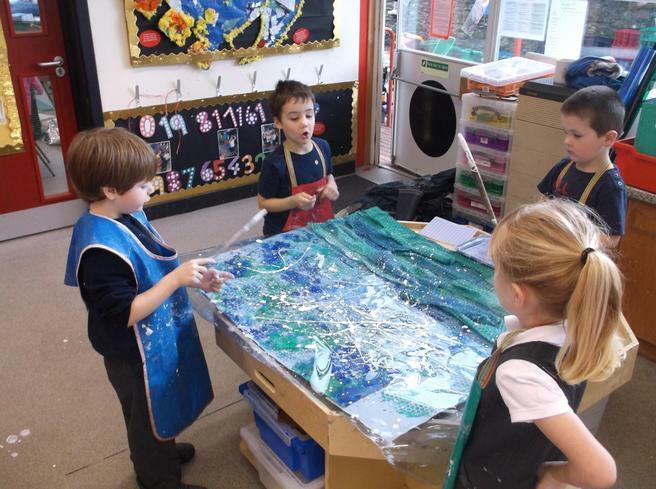 The children in Kingfishers and Egrets have spent their 'Art Day' creating beautiful 'seascape' pictures out of an assortment of fabrics and recycled materials. 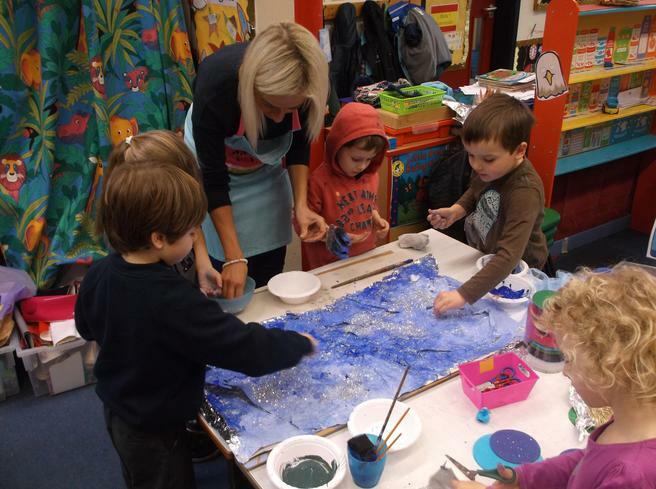 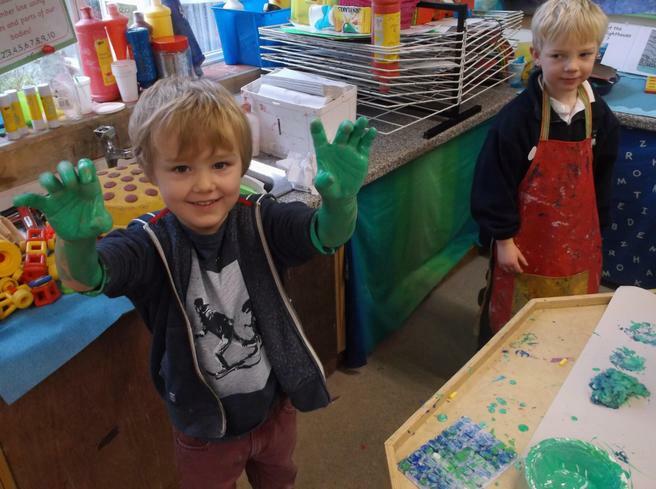 We are very grateful to all of our lovely parent-helpers who gave up their spare time to come into school and get covered in glue, paint and glitter! 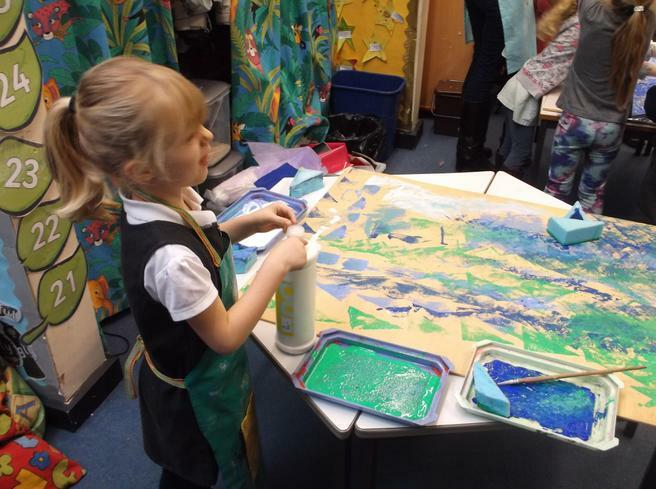 We are hoping that some of the work produce by the children today will be included in the 'Primary Colours' exhibition at Harbour House later this month.